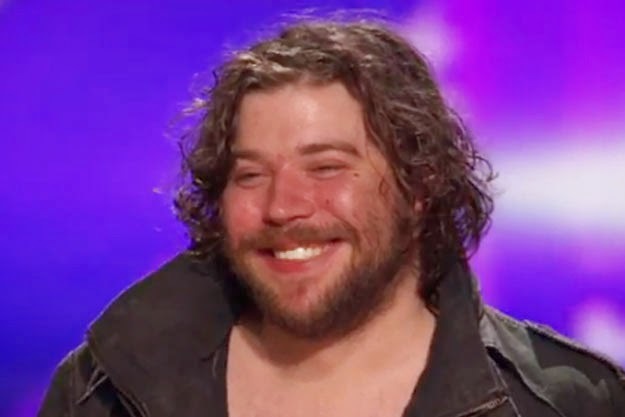 I'm not quite sure how I heard the name Josh Krajcik, I don't watch competition singing shows, so perhaps his name came to me by osmosis. Or maybe it was while I tripped merrily through the internet for versions of Etta Jame's At Last. How ever I found him, I want to share his singing with you because man oh man can this guy tear your heart out with his singing. I love, love, love singers with angst in their voices and Josh Krajcik is anguish to the zillionth power. First up, his version of Etta James' At Last. Wow, this is how At Last should be sung. And, if that's not enough for you how about him singing one of the most beautiful songs ever, First Time Ever I Saw Your Face. To those judges at the end and their slightly snarky comments, I've always preferred my men a little rough around the edges, as do a lot of women. He does Roberta Flack proud. Is there anything he can't sing? Intrigued, I continued my search and found Let Me Hold You and am in love, musically speaking. I don't know if he won the competition, but he has certainly won me over. Love this guy.